The 4C is nothing less than the most important Alfa Romeo for an entire generation. Mid-engined, and with a carbon fibre chassis that’s pretty damn close to the one at the heart of the McLaren 12C, it vaults this lovely but perennially underachieving Italian brand straight into the big league. It also poses some interesting philosophical questions. 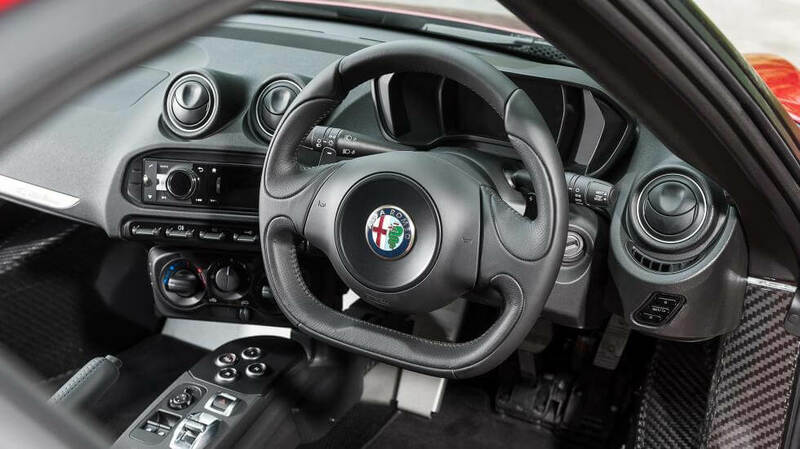 Alfa insists that the 4C is a junior supercar, but can it really justify the big talk when there’s a four-cylinder, turbocharged 1.7-litre engine in there? Even if it comes up a bit short on that front, does its 41.5mpg average fuel consumption and 157g/km CO2 emissions make up for it? It’s an absolute blast, simple as that, a ballsy reversal of the power war that has gripped the industry’s big guns for years. But… there are a few buts. The good bits are tremendously good, though. The 4C’s carbon chassis is as sensational as you’d hope. Overall, the car weighs just 925kg, and you can feel that lack of mass in your fingertips and through your backside. 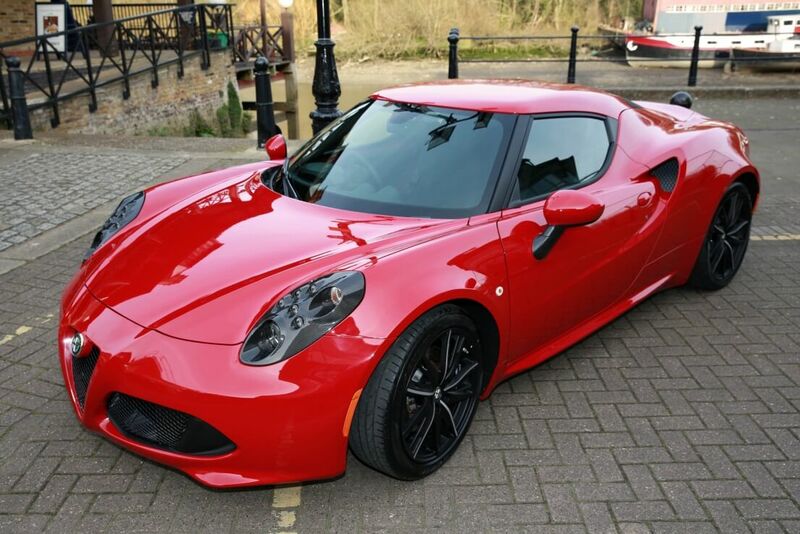 The 4C handles and rides beautifully, its unassisted steering is chock full of feel, and nothing this side of the Lotus Elise has a similar appetite for corners. Italian racing specialist Brembo supplies the 4C’s stoppers, and they’re also brilliant. Unfortunately, the powertrain lags behind, in more ways than one. 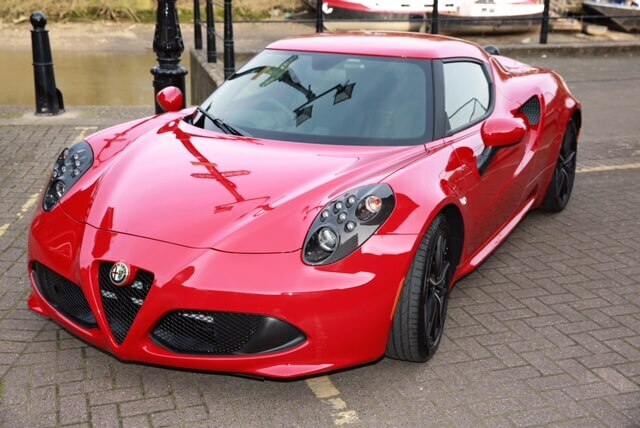 There’s just no getting round the shortfalls of a blown four-pot, and though the 4C sounds pretty fruity on the outside, inside it’s a bit flat. The turbo’s also rather intrusive, and though the 4C is addictively fast – 0-62mph in 4.5 seconds, 160mph top speed – and doesn’t lack torque, it’s nowhere near as seamless in its delivery as, say, the Porsche Cayman. Its TCT dual-shift gearbox can be a bit obstructive, too, although full-bore upshifts in fast-shifting Race mode are pretty good.